​AC Milan are lining up a move for Genoa's Krzysztof Piatek, with Gonzalo Higuain seemingly set on a reunion with Maurizio Sarri at Chelsea. 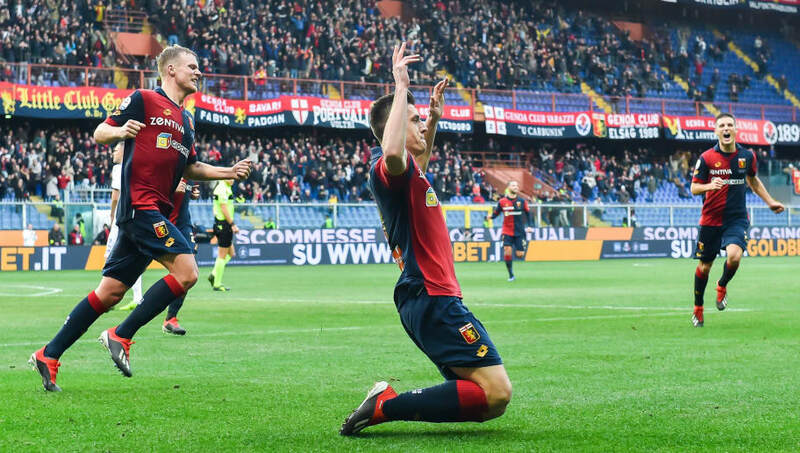 Piatek has soared to fame this season and is currently second in the Serie A scoring charts with 13 strikes, just one goal behind Cristiano Ronaldo. Averaging a league goal every 123 minutes, the Polish forward has become one of the most sought after strikers in the world. Despite this, Calciomercato are reporting that Genoa are ready to cash in on their prized asset with AC Milan ready to pounce. Piatek is reportedly valued at upwards of €40m, with Genoa only interested in sanctioning a permanent sale rather than a loan deal. AC Milan could well be forced into the deal with Gennaro Gattuso all but confirming Higuain's desire to leave the club for Chelsea. Should the Argentinian leave, Milan would be left short of options at striker and would surely need to dip into the January transfer market for a replacement. However, the departure of Higuain could well be a blessing in disguise for AC Milan. Since joining the club in the summer, the former Juventus striker has only mustered up eight goals in 21 appearances and went a month without scoring. Comparatively, Piatek has scored a remarkable 19 goals in 21 appearances in all competitions. Therefore, Milan could well end up with a better and younger striker should Higuain leave. With AC Milan currently sat in fifth place and outside the Champions League qualification positions, this transfer move could give them the necessary boost in the second half of the season to achieve a top three finish. It would particularly address the issue of their lack of goals under Gattuso. Of the top five sides in Serie A, AC Milan have the worst goalscoring record thus far, having found the net on just 26 occasions. Whilst they are also conceding the second most, adding a regular goalscorer would make this less consequential. With the move only in its infancy, Piatek is unlikely to be signed in time to play in AC Milan's next fixture against Juventus in the Supercoppa Italiana. However, should Milan finalise the deal before next week, the Polish striker could be in line to make a dramatic debut against his former side Genoa on Monday.